Did you know that your surroundings influence your body and state of mind? Yes, it is true that colours have an effect on us, influence perception and determine human behaviour. The study of human behaviour based on colour is called colour psychology. 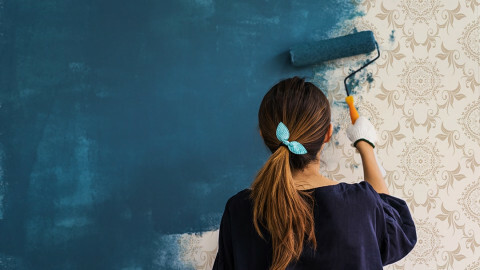 Though colour psychology is largely used in marketing and branding, it also plays a significant role in influencing our moods. 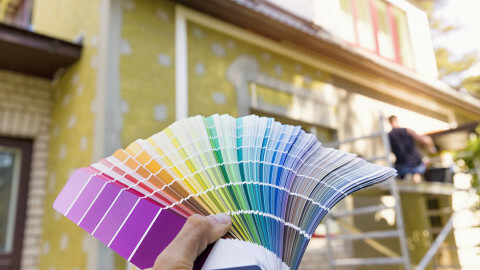 The interior wall paint colour of our houses always has something to do with our mood swings. 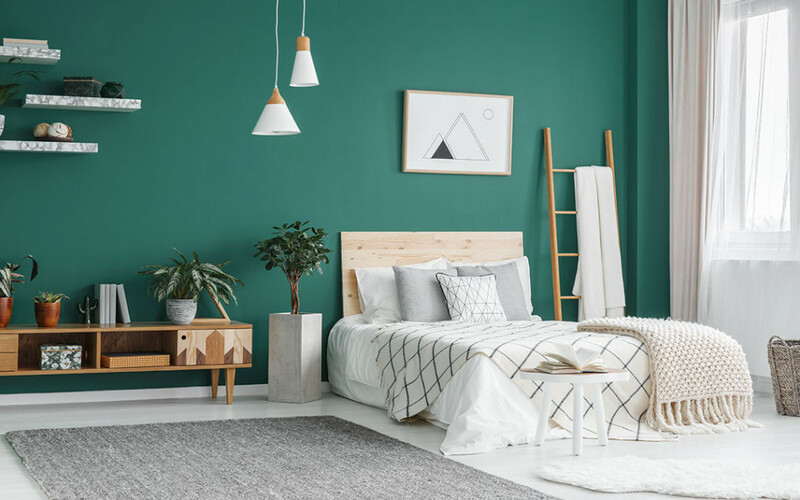 You may enjoy a good sleep in a particular room or feel energetic and active in another room; this is due to colour psychology. 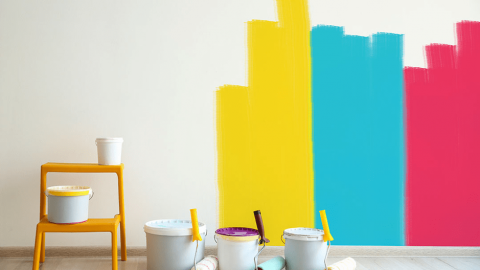 Now, we will look at 5 colours that will make you the happiest based on colour psychology. Being a dominant colour, red is the first colour that our eyes get drawn to. 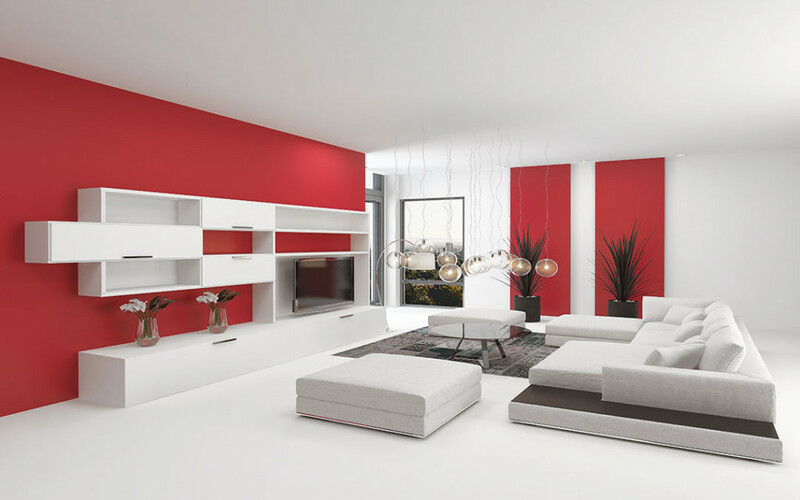 Red is one of the most powerful, and emotion evoking colours available in the market. The sight of red can instil confidence and high energy and it has the ability to stimulate our body and mind. As it also increases circulation and metabolism, red can be used to get us going when we need diligence. With red representing heightened awareness, and movement, it is best when used in exercising spaces as it will keep you active and increase your performance. 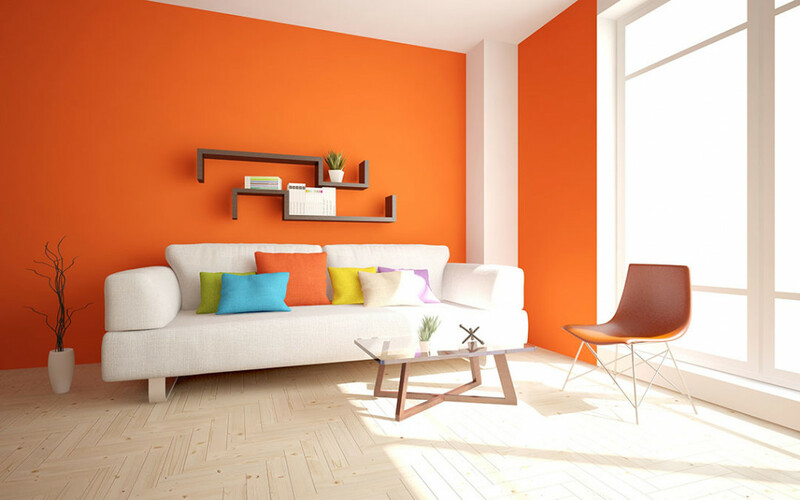 Orange being one among warm colours, spreads a fun, playful and energetic mood around you. Orange represents fire, fun and warmth. As orange combines the energy of red and the happiness of yellow, it aids us to carry positive energy in our daily life. According to colour psychology, orange promotes conversation and it is best suited for your dining room where the whole family gathers. Orange radiates a relaxing and enjoyable mood with less serenity which stimulates your appetite too. Yellow is the hue of memory, hope, happiness, and enlightenment. Yellow represents brightness and the warmth of summer. 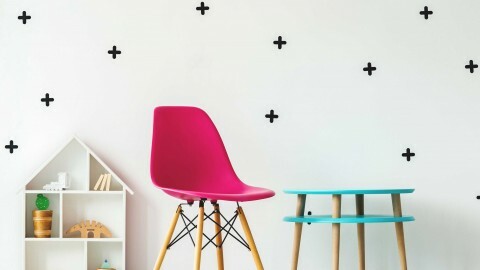 This primary colour spreads a cheerful mood, assists clear thinking and helps decision making. 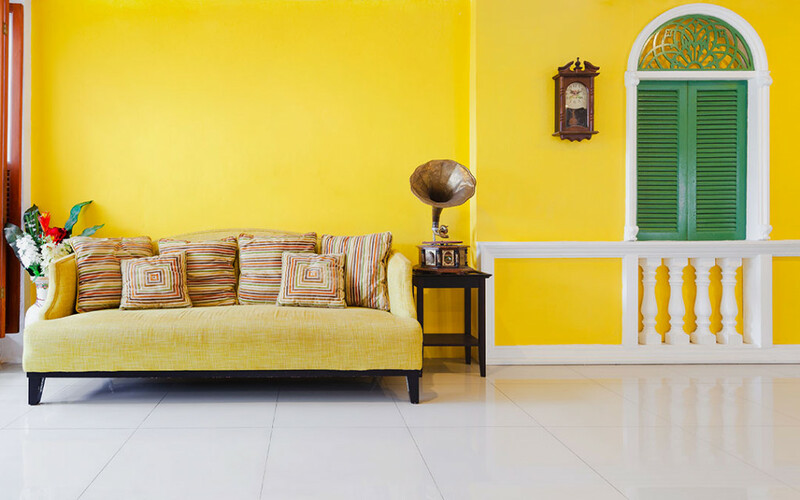 Yellow is a perfect colour in the interior walls of your study room, as it stimulates your mental process, activates memory and ultimately improves your memorization skills. Yellow promotes the idea of wisdom and knowledge. Blue is the most natural colour as it can be seen only in the skies, seas and not on any fruits or vegetables. 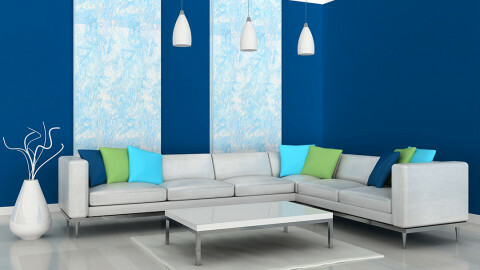 The sight of blue causes your body to produce calming chemicals and makes you feel a lot relaxed and tranquil. It is a shade most people relate to and gives security and a feeling of safety. Blue is cool, and slow as compared to red’s warmth, fire, and alertness. 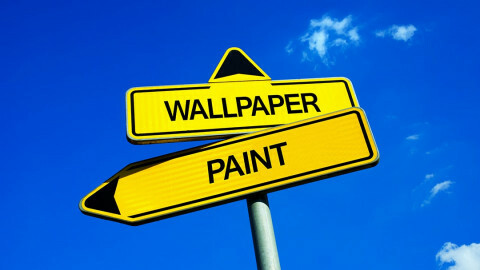 Being the opposite of red, blue colours is the best choice for your bedroom’s interior walls as it promotes good sleep. Green, a secondary colour, acts as a bridge between the warm and cool colours. Green represents balance and harmony and is often used to depict nature and hope. Even too much of green does not have any negative aspect to it. 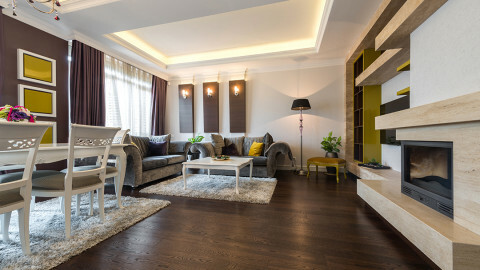 Green furnishes an air of stability and helps in reducing stress. 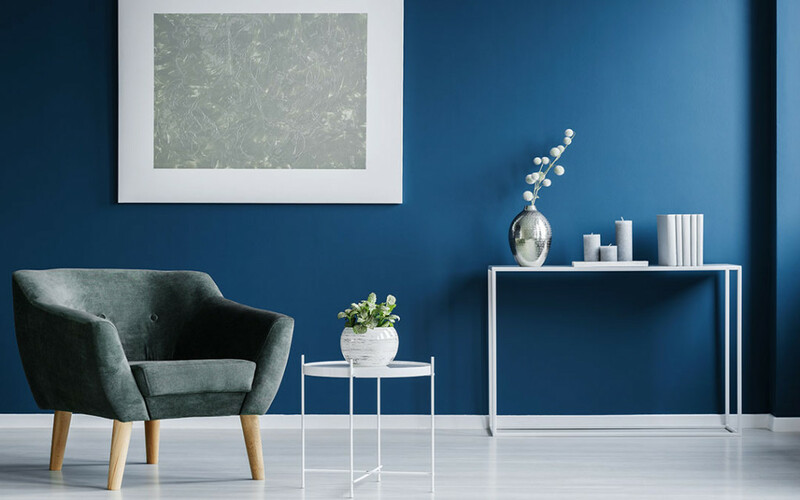 Green interior wall paints in your living room will reduce your stress and is the perfect vision when you reach home from the office.